This book depicts the basic aspects of all surgeries for kidney transplantation in both adults and children, including procurement of kidney, preparation of the kidney graft, vessel reconstruction, kidney implantation in various conditions and the diagnosis and management of surgical complications post transplant. 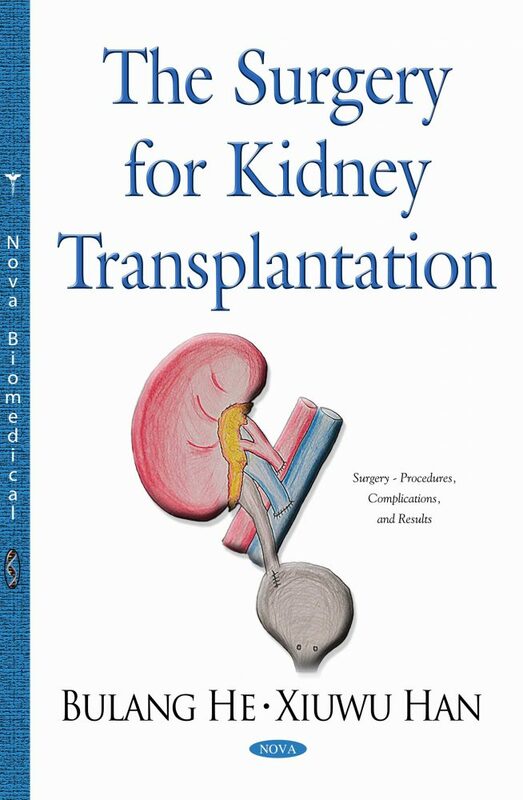 This book also describes the surgery for kidney transplant with abnormal lower urinary tract; the surgery for third or subsequent kidney transplant and the surgery for transplant nephrectomy by the extra capsule or intra capsule technique. Furthermore, it has been emphasized that early recognition of vascular complications is critical in order to avoid the kidney graft loss. This book provides numerous images to illustrate the abnormal findings during the investigation of kidney graft, in order to facilitate prompt diagnosis and management of post transplant complications. Moreover, the different techniques in management of urological complications are discussed such as Boari flap urinary tract reconstruction. This book also introduces advanced laparoscopic surgery for kidney implantation. The authors share their experiences in developing the large animal training model and early clinical experience. Importantly, editors invited Professor Modi to contribute to the chapters on laparoscopic kidney transplant and robotic kidney transplant. Professor Modi is a well-known pioneer in advanced laparoscopic kidney transplant and robotic kidney transplant. Last but not least, the assessment of live kidney donor has been thoroughly discussed based on the review of the guidelines from a few societies. The surgery for donor nephrectomy by either transperitoneal or retroperitoneal approach has been well illustrated in details with pictures.